“The cash-in-transit couriers that are receiving these awards today have demonstrated outstanding bravery in their line of work. They have been faced with extremely violent and traumatic situations and their ability to remain calm and level-headed is testament to both their training and strength of character. 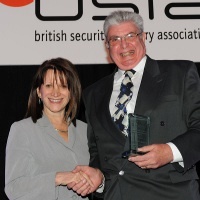 I applaud them for their actions and for being prepared to perform this essential public service in such a proficient manner,” said BSIA Chief Executive, James Kelly, when announcing the BSIA Special Awards for Outstanding Service. 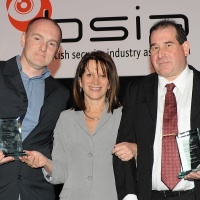 The Special Awards for Outstanding Service were presented to the couriers by Lynne Featherstone MP, Parliamentary Under Secretary of State for Equalities and Criminal Information, at the BSIA’s annual luncheon, which took place yesterday at the London Hilton, Park Lane. Thomas Booth of G4S Cash Solutions UK Ltd was awarded for the heroism he displayed when attacked during a service to a bank in Lincolnshire. This CIT courier was exiting the bank with the fourth cash bag for consignment to his vehicle, when a criminal armed with a hammer attacked him in an effort to steal the bag. Discounting the harm to himself, our winner called for help and did not surrender the box, despite suffering a number of blows to his right arm. Faced with the uncompromising resistance of the officer, the attacker later fled the scene on a vehicle driven by an accomplice. The courier’s actions resulted in a nil financial loss for the customer, and in good forensic evidence being obtained from the criminals’ vehicle, later found by the police. Stewart Bowes and Mark Byatt of G4S Cash Solutions UK Ltd were both attacked whilst carrying out an ATM replenishment. Whilst on duty, the pair noticed a suspicious individual pretending to be using an ATM, and wearing a white surgical mask. Having been faced with a similar attack in the same place merely a year earlier, the officers recognised the danger at once, and were able to alert each other and prevent the money from being stolen by re-enforcing the door to the ATM to prevent the attacker from accessing the money. The attacker therefore ran away empty handed. The fearless actions of these two officers meant that no money was lost and help was called upon immediately. Mark Elliott of Loomis UK Ltd showed a great deal of composure, foresight and bravery when attacked whilst carrying out an ATM replenishment service with a colleague. The courier was transferring the final cash load from the CIT vehicle to the ATM room, when an attacker ran at him. Our winner quickly threw the cash box into the ATM room, and confronted the assailant, successfully restraining him to the floor. The other courier on duty quickly retrieved the box and alerted the police. Upon arrival, the Police arrested the attacker as well as his two accomplices, who had attempted to flee the scene after the first had been restrained.